On Tuesday’s episode of “The Hagmann Report,” right-wing conspiracy theorist Steve Quayle engaged in some esoteric biblical exegesis in order to declare that Jared Kusher, the son-in law of and senior adviser to President Trump, is “absolutely the prime candidate” to be the Antichrist. 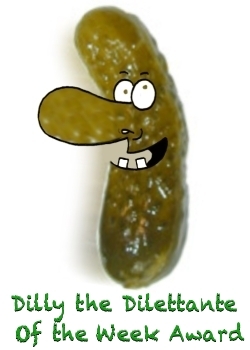 Here’s your Dilly. Now never speak about the Bible again. Ever.